Teaching Teens in the 21st: First week is in the books! First week is in the books! I skipped my regular post this week in favor of this Flipagram of my ISN that I posted on my Facebook on Monday or so! I also had plans derailed because I *of course* came down with a massive chest cold within the first three days of school! Today I'm going to talk about ISN's, yes, again. Are you doing them yet? Why not? Why are you? Obviously there are many other reasons, such as ease of grading, less time spent looking for papers, clear expectations and routines, etc... but my biggest takeaway is that students know where to find stuff. We spend a great deal of time getting this ready to go at the beginning of the school year. More so this year because I really want to be prepared when my maternity sub comes in, and I want students to clearly see the importance of this notebook. We are finally starting content on Monday, as we spent two days doing this, one day with Library Orientation, and two days doing Performance Series testing last week. I'm so pumped to get into some actual content with my kiddos! 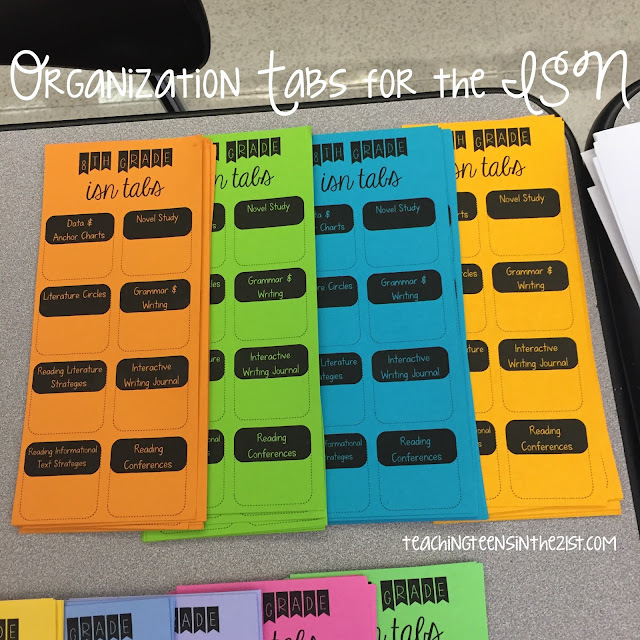 I printed these out on Astrobrights cardstock so they would be more sturdy, and it was definitely cheaper than buying a ton of tabs for students! 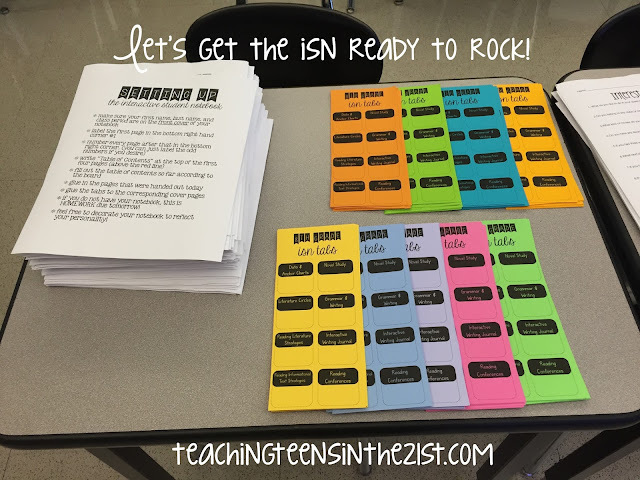 I can tell my new big thing this year is going to be these "task" sheets, as I've done them a handful of times this year already with the ISN, Learning Styles activities, and the stations! I would LOVE to offer this in my TpT store, but I wanted to get some feedback first. I'm planning to include the following in this bundle, but I want to know what you would want from this! What do you want to see on the tabs and cover pages? What more would you want in here? What other questions do people have about "doing" interactive student notebooks? So what's coming next? 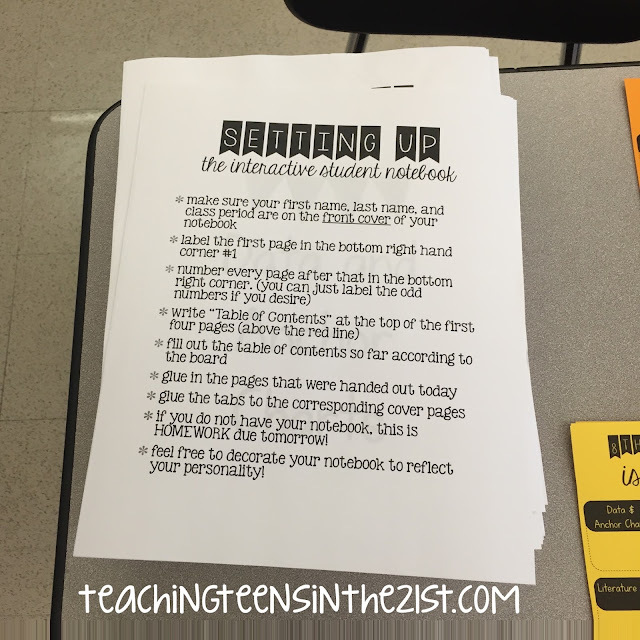 Look for a content heavy post coming up soon on how I do my introductory unit with students to teach anchor skills! :) Hope everyone is happy, healthy, and making time for themselves! This looks great. I never thought about having it sectioned out and putting in tabs. 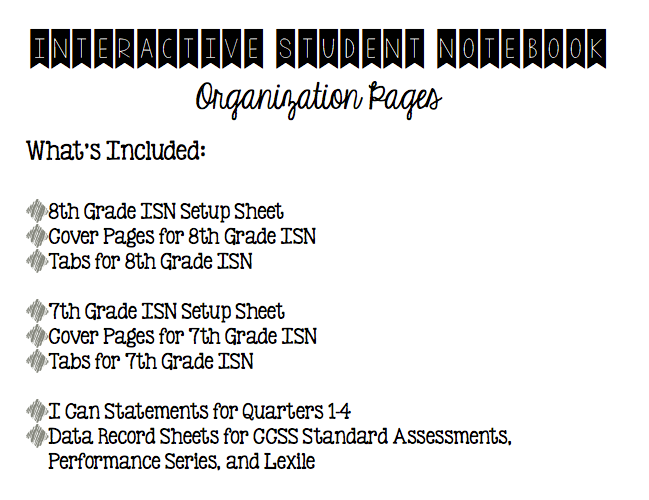 What kind of notebook do your students use? We use composition books. I can't wait to read more!! I answered the kind of notebook after I watched the clip. Sorry about that! Will you still be putting this on TPT? Also, how did the students put the cards tick tabs on their ISN? Cut and paste? Use my link to Vistaprint! All information and opinions are that of the author or cited, and are not associated with her current place of employment. Mrs. Jennifer White, 2011. Powered by Blogger.